One of the many things you must master with your handgun is proper sight maintenance. If your sights aren’t zeroed – yes, on your handgun, it isn’t only for long guns – your accuracy will be hindered regardless of training. In fact, if your sight alignment is off even 1/16th of an inch, at 20 feet you’re going to end up with a 4.5-inch separation between where you want to hit and where you’re actually going to hit your target. If your sights are properly aligned, you’ll have an equal distance between the front sight and each side of the rear-sight notch. It’s an important skill to master, especially as you shoot more frequently, and with this 500-round box, you’re going to shoot more. 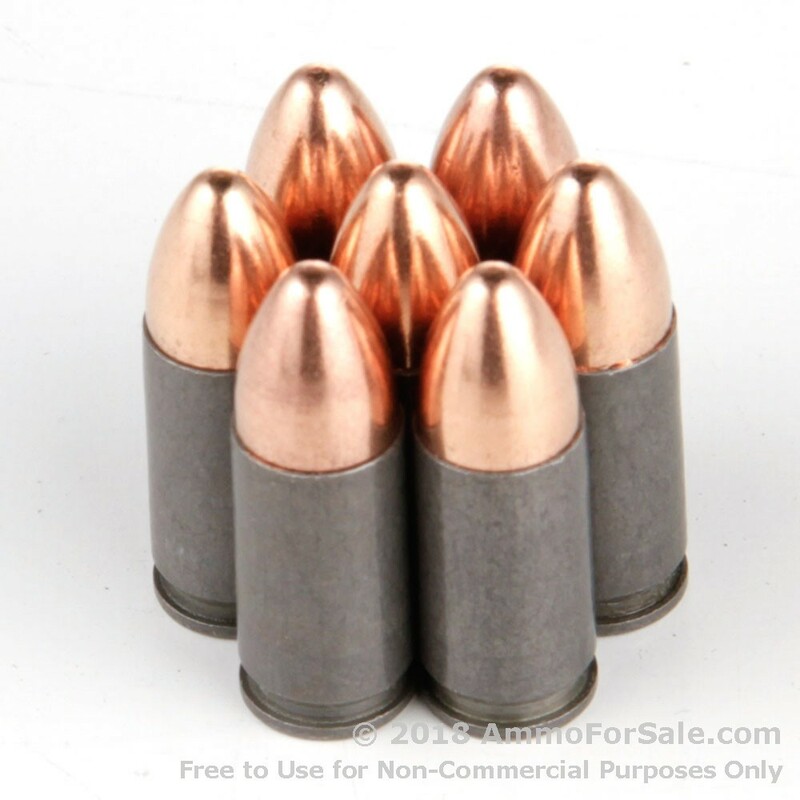 At 115 grain these are lightweight 9mm rounds, which gives them the ability to leave the barrel of your gun with greater speed. As FMJ’s, they’re meant for target practice, tactical training, and those days you just want to plug a few dozen pop cans. They’re new production and designed to be non-corrosive and have steel cases with berdan primer, which helps ensure ignition and also extends their shelf-life. As we said, they’re speedy; they have a muzzle velocity of 1,150 feet per second and have a muzzle energy of 338 foot-pounds. If you’re looking to put some dedicated training in, these rounds are for you. 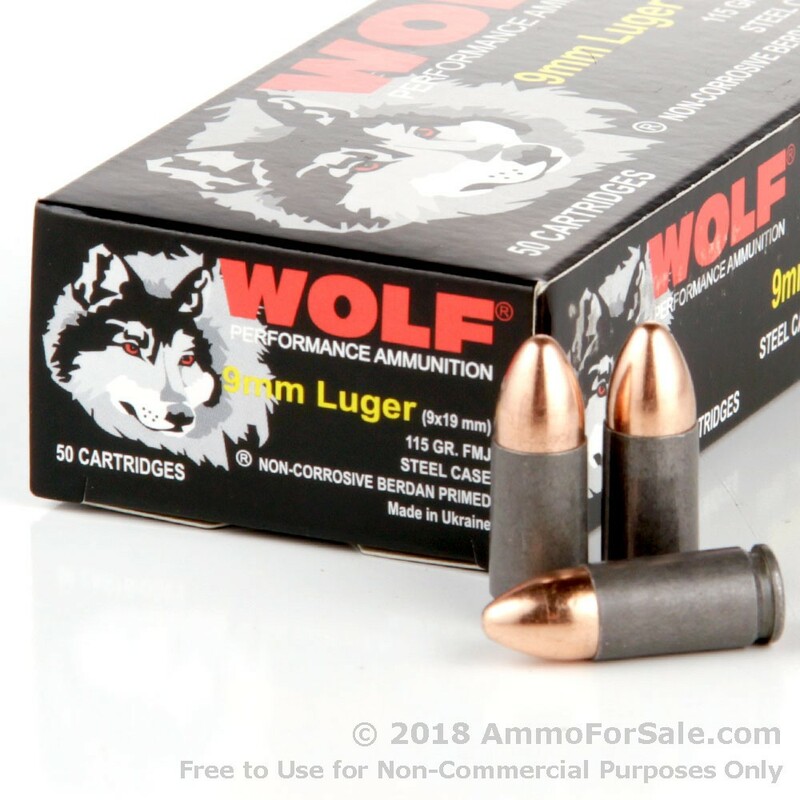 Wolf manufactures this ammunition under the umbrella of the legendary Tula Arms plant in Tula, Russia. Tula was founded in 1712 and has the experience and reputation you’d expect; all ammunition is manufactured to meet SAAMI or CIP standards. Wolf uses a bi-metal layering process to create these steel cases and coats them with a special polymer to ensure cycling. Experienced shooters who have used this ammunition say it’s fantastic for training, feed and ejects reliably and has good grouping. 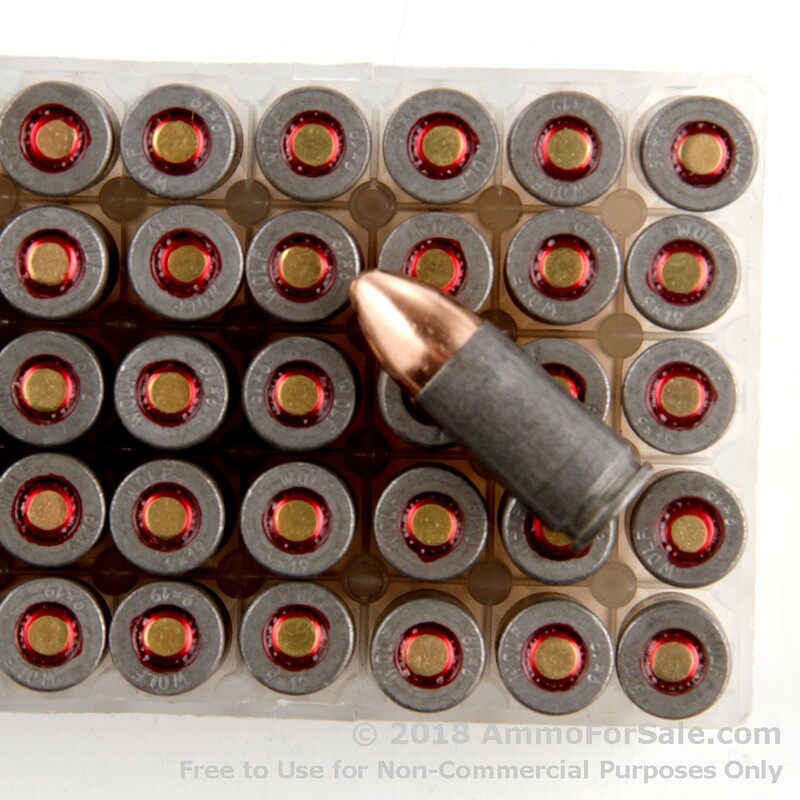 Remember, you get 500 rounds in this box, so you and your 9mm can spend some quality time together without draining your bank account. What are you waiting for? Feed your gun!